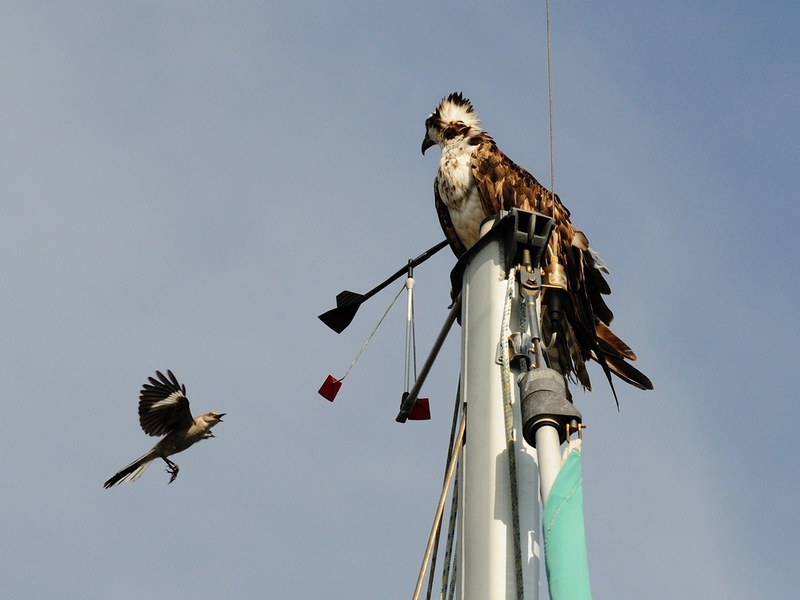 The other day, an Osprey (Pandion haliaetus) chose the mast of my boat to dry off after missing a couple of fish. 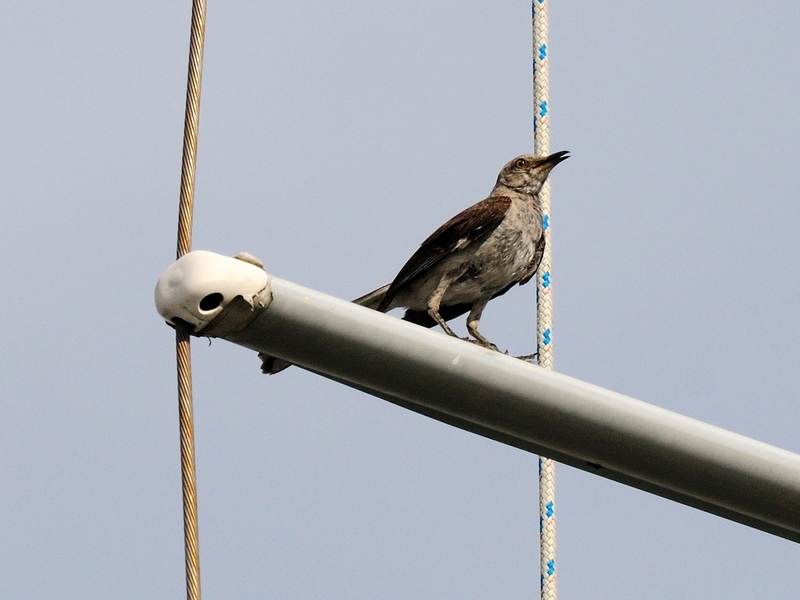 This drew the attention of a of Mockingbird (Mimus polyglottos) which was nesting on the other side of the canal. I haven’t found the nest over there but, it must be close enough to need protection. Here are the protagonists. 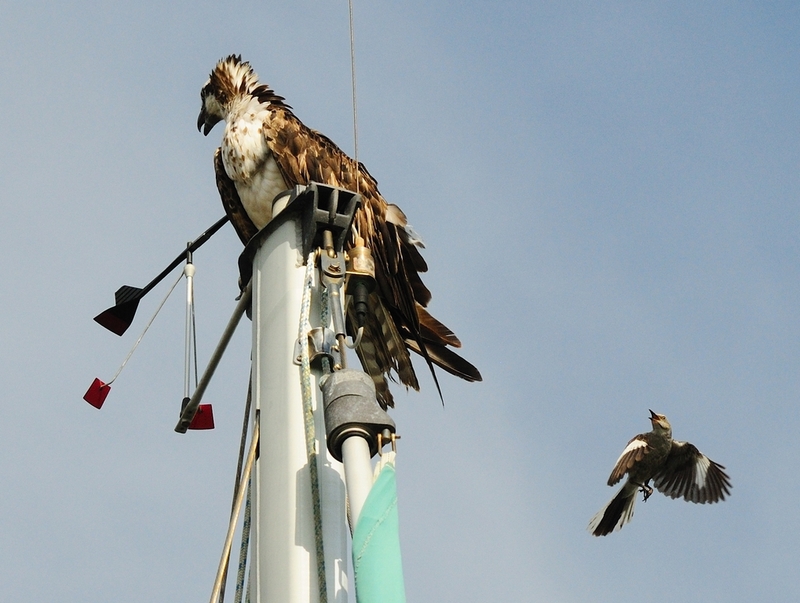 On the left, a wet Osprey which needs to rest up and dry before trying again. 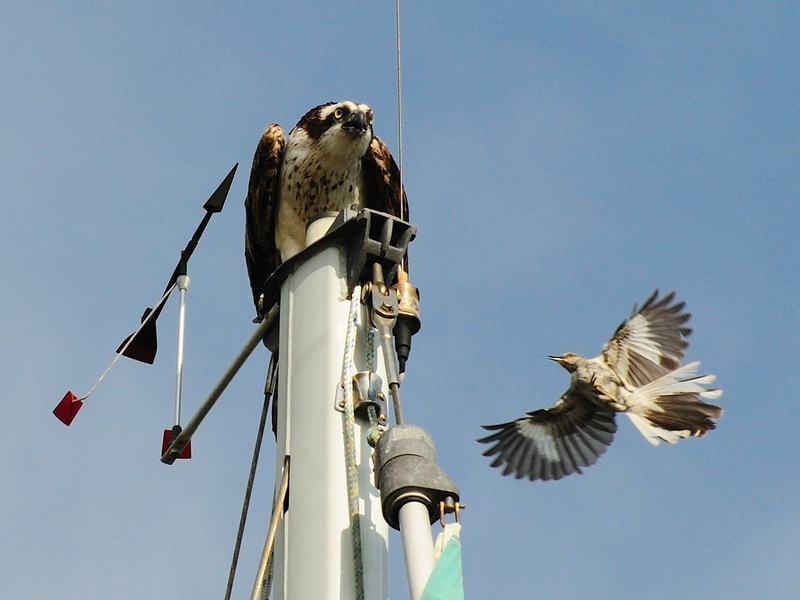 On the right, the Mockingbird taking a break from harassing the Osprey. There is a big difference in size but, the Mockingbird certainly does not lack courage. 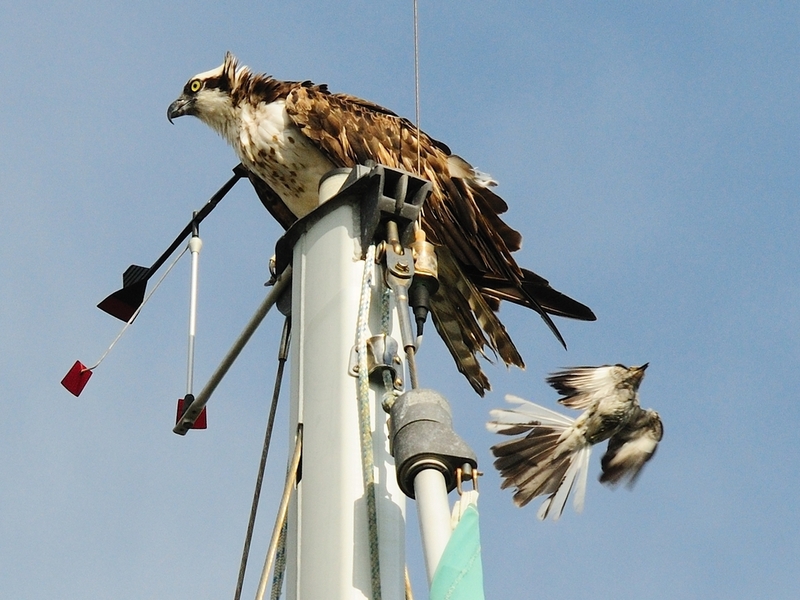 The Osprey varied from anger to frustration. Being wet, it was in no shape for aerial combat so, it just sat there. Here are a few shots from the many attacks. Polyglottus in the Mockingbirds name means that it imitates the calls of many other birds, mocking them in other words. 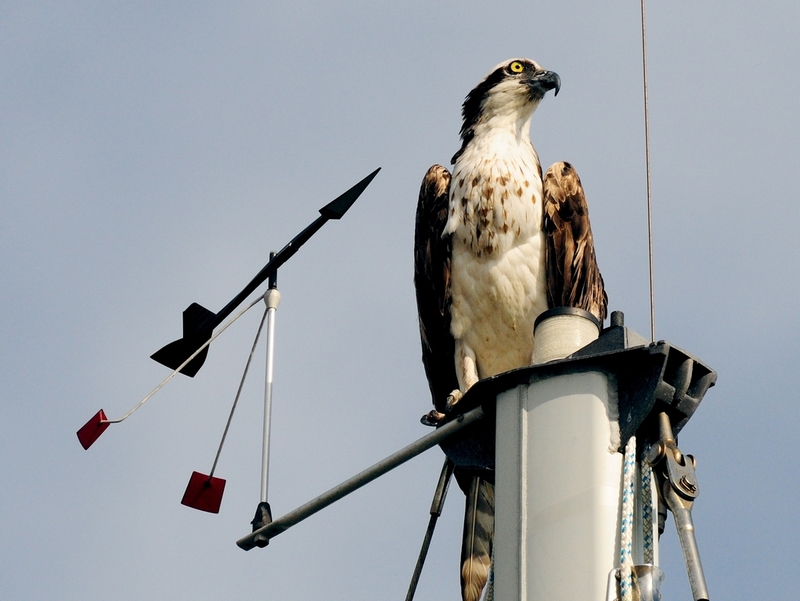 This is used to keep other birds away from it’s range. 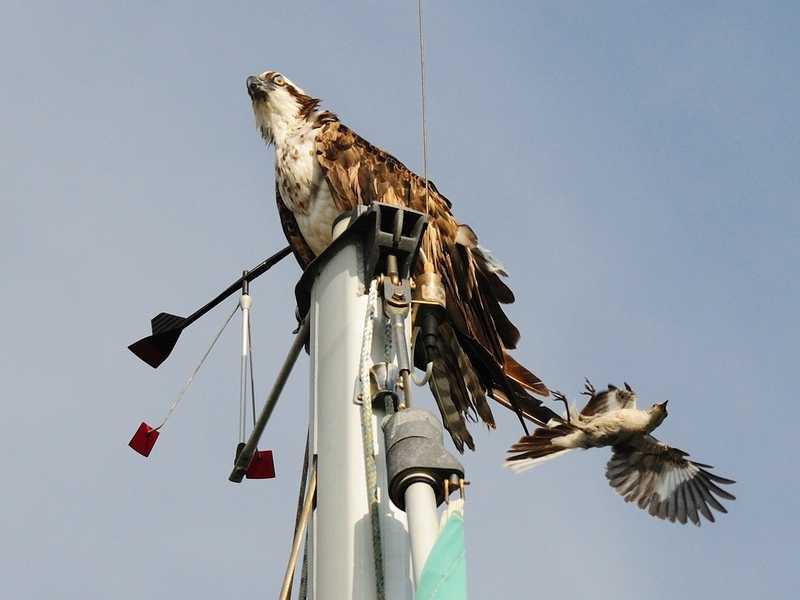 The other birds hear the false calls and assume that there is another of their species there and go find another place to stake out. So, the Mockingbird is not only fierce and brave it’s pretty smart too. 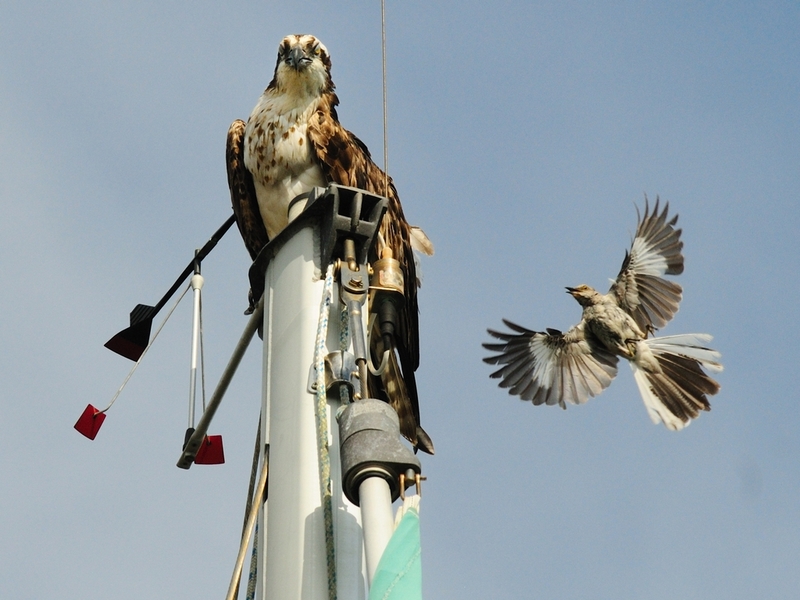 This entry was posted in animal behavior, Bird and tagged Mockingbird, Osprey, Photography. Bookmark the permalink.